New Year’s revelers have a lot of transit options in Philadelphia this year. Champagne! Fireworks! Those drunks next to you way too old to be ordering another round of Jagerbombs! If you want to take in all this and more this New Year's Eve but don't want to drive, there are options in the Philadelphia region this year. The best deal in town is definitely PATCO, which is offering free rides from 8 p.m. Sunday through 4 a.m. Monday. If you're trying to get from New Jersey to Philadelphia or vice versa, this is the way to go. And if you've been dying to ride a train across the Ben Franklin Bridge but have balked at the $4.50 round trip, well, Sunday night is a big window of opportunity for you, too. SEPTA isn't going to be as cheap a date as PATCO, but there are some changes there, too. On New Year's Eve, the El and Broad Street Line will run, as Lionel Richie said, all night long. There also will be more cars on the trains after 4:18 p.m. Buses that run on 15th Street between John F. Kennedy Boulevard and Chestnut Street will be detoured from noon until 8 p.m. while the city makes preparations for the arctic nightmare this year's Mummers Parade promises to be. Regional Rail will run on a regular Sunday schedule but will have a late night service from Center City on the Chestnut Hill East, Fox Chase, Elwyn, Lansdale, Malvern, Norristown, Warminster, and West Trenton lines. The full schedule for Sunday night is available here. Ticket offices at Jefferson, Suburban and 30th Street Stations will stay open until 1:30 a.m, and the Market St. Convention Center will remain open until 1 a.m. for people returning from the New Year's Eve fireworks display. On Monday, subways, trolleys, buses and Regional Rail will operate on a Sunday schedule. 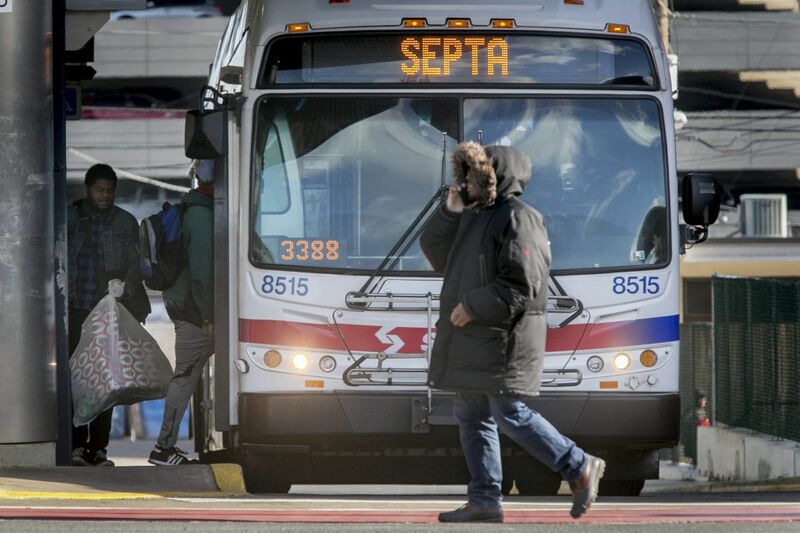 There will be some changes on bus routes to accommodate the Mummers Parade. New Jersey Transit is running a Sunday schedule on most routes in South Jersey on New Year's Eve, though a few routes will be canceled. A full schedule of New Year's Eve and New Year's Day routes is available here.